Here at Village Nannies, we understand that deciding upon the right Nanny to care for your child or children, is one of the hardest and most important decisions you will make as a parent. In our service to you, our Client, we go above and beyond usual expectations. Our Family Clientele is of the utmost importance to us. We strive to make welcoming the ideal Nanny into your home, a stress-free, smooth and uncomplicated decision for you. The Professional Nannies that we provide for your consideration will be the result of a specific, thorough and personal matching process.We know that each and every Family is unique, with their own particular needs and expectations. We take the time to very carefully consider every aspect involved during our Family/Nanny matching procedure. This often ensures the Family/Nanny bond which can last a lifetime. 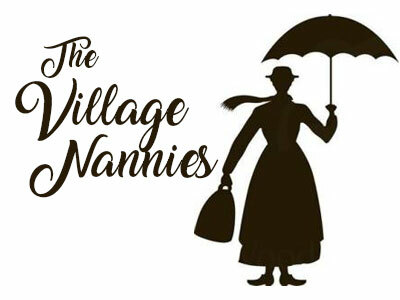 Village Nannies specializes in providing a unique, confidential and highly personalized service. In the search for your Nanny, we consistently provide your family the care and personal attention, which cannot be found through online only services, notice boards or the classifieds. Each and every one of our Nannies is committed, along with us, to providing only the highest quality of service to all children and their families. Only a very small percentage of applicants are successful in being selected to join our family of Professional Village Nannies. Our standards are of the highest caliber, our multiple screening and testing processes are rigorous, thorough and comprehensive. You are always welcome to contact us if you feel you are ready to give your children and family the enriching, life enhancing and surprisingly affordable experience of welcoming a Village Nanny into your lives.